Mr. Khosrowshahi, a veteran technologist, has been developing software, implementing wired, wireless networks, and systems for the past thirty years. 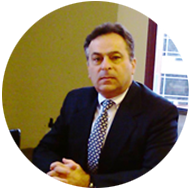 His diverse experience includes management of all International support operations of Nastec Corporation a pioneer in Computer Aided Software Engineering Tools, to being the Vice President of Corio, Inc. eBusiness division. a pioneer in SaaS services which was later acquired by IBM. Mr. Khosrowshahi has been the founder of several Internet software ventures including Internet Radio Inc., AVStream Inc., and Trident, Inc. He is a technologist with broad experience in all aspects of business including finance and strategic business development. His management and leadership capabilities with diverse experience in hardware and software products are an invaluable asset to the company. Mr. Khosrowshahi holds an MBA degree from Harvard Business School, and BS and MS degrees in Chemical Engineering from MIT. He is the president and founder of Trident, Inc., the parent company of TRINNOVIM. 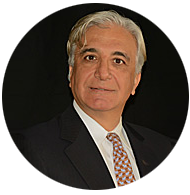 With his expertise in computer science and extensive experience in NASA systems engineering, architectural design, and program management, Shahin is more than an executive: he's a technical leader. Before founding INNOVIM in 2003, Shahin was a NASA civil servant as Program Manager /Technical Director at Goddard Space Flight Center. He held senior technical leadership positions at CRM leader Merkle, internet media innovator Vodium, and at business information technologies provider BNA and taught as an Adjunct Professor at The Johns Hopkins University. He has authored more than thirty-five technical publications on software reuse, data systems architecture, and other advanced computing topics. His projects have included NASA's MODIS instrument definition and development of the Joint Polar Satellite System. Shahin holds a Ph.D. and MS in Computer Science, and a BS in Electrical Engineering from George Washington University.